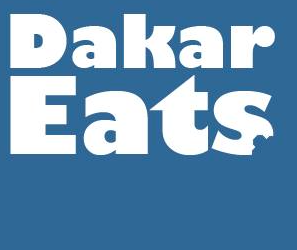 In light of the delayed re-opening of the Dakar Farmer’s Market, I want to highlight some of the city’s best foodie businesses that deliver. I absolutely have to launch this series with Marie’s Kitchen. If you’ve been in Dakar for a while (or even a week, for that matter), I hope you’ve had the chance to try the freshly baked goods coming out of Marie’s Kitchen. Since tasting them five years ago, I keep a stock on hand and make sure never to run out, thanks to weekly orders I place for delivery. Her breads all freeze well and the tortillas do great in the refrigerator. I’ll mention a few of our favorites below, but actually we buy everything she makes on a regular basis. Marie’s English muffins are a half-wheat recipe that makes amazing breakfast sandwiches (as shown above with egg, avocado & cheese), toast, mini-pizza bases, PBJ… Very versatile, totally delicious. (As are her panini breads!) We miss these so much when we travel to the US! Incredible homemade granola. Wow. It’s a simple recipe with high quality ingredients, including Casamance honey and fresh coconut grated for each batch, which is 5 cups. Her pre-baked pizza crusts can be stored in the freezer. These crusts are freshly made from a half wheat yeast dough that it about the thickness of a hand-tossed pizza in the US. None of that chemical nonsense, very light and good texture. You just pull one out and put it on a baking sheet, add your sauce, cheese and toppings, then pop it in the oven at about 425 degrees for maybe 10 minutes or so. Dinner is served. The tortillas are also half-wheat and made by hand and cooked in a cast iron skillet, always fresh to order. They store up to 10 days refrigerated. We use them for soft tacos, enchiladas, fish tacos and layered taco casserole that is like a Tex-Mex lasagne. The apple bread uses a traditional American recipe and come in a standard loaf size. I keep a few on hand in the freezer for breakfast treats, snacks or to serve with coffee. One final sweet touch, I love her cinnamon rolls and cannot live without her Casamance honey. Some English spoken. Items are baked to order, so please call 2-3 days ahead. Find Marie’s Kitchen on Facebook.